Are you looking for an experienced facilitator to help your Board, group or organization with having intentional conversations around topics and issues that matter most? Perhaps you’re hosting an important meeting or a staff retreat and you want to have the event facilitated to ensure all participants can fully engage with the meeting or retreat without also having to wear the “facilitator hat”? 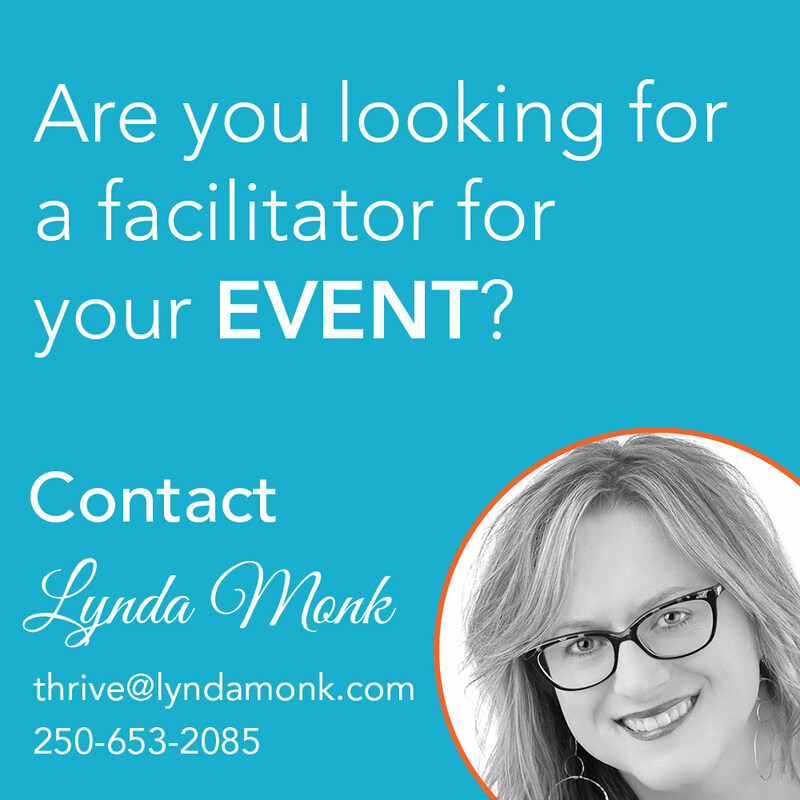 Whatever your facilitation needs might be I would be honoured to help make your event or meeting a great success! What is my definition of “facilitation”? It is an interactive, skilled process for moving through a core agenda and focus, while cultivating the collective wisdom – ideas, thoughts, needs and goals – within a group of people. What are the “Principles for Success” when I facilitate your event? Listen with an open heart and open mind. Strive to learn and connect ideas. Allow increased awareness to lead to inspired actions. You are in charge of the focus and scope of the event. You identify your core goals, hopes and vision that you hold for the facilitation itself. I listen to your highest hopes and intentions for the event. I then design and facilitate a process that helps bring these hopes and intentions to fruition. I ensure a coach approach to facilitation whereby I use powerful questions, deep listening, storytelling, and interactive activities as tools for learning and engagement. All participants are viewed as creative and resourceful, with something of value to contribute. I bring my 25 years of experience with facilitating intentional and caring conversations – aimed at creating change, learning and growth – in service to providing you and your group a quality and effective facilitation process.